- Welcome to the Kappapedia ! Kappa love sumo wrestling and cucumbers. That is why cucumber sushi rolls are called "kappa maki". 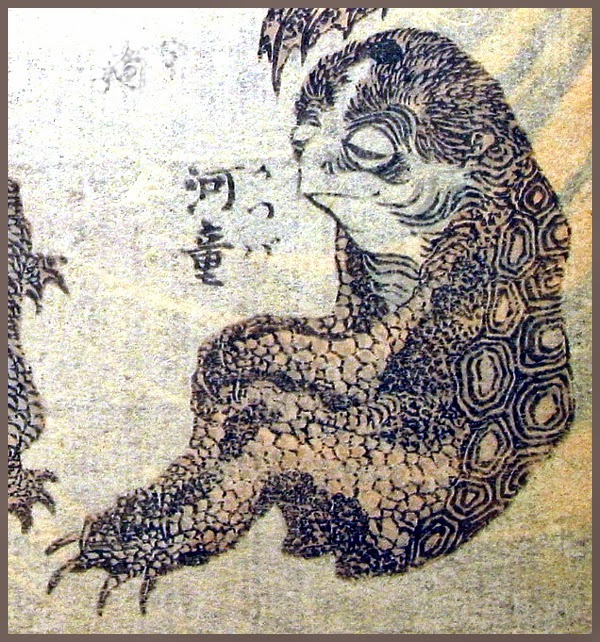 "Okappa" are bobbed hairstyles because they look like the kappa's hairstyles. 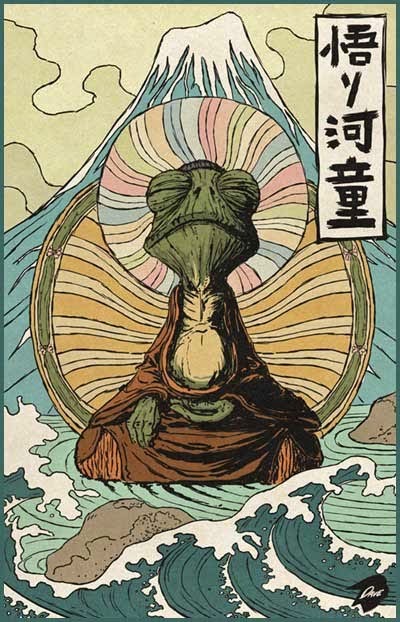 Kappa are excellent swimmers. 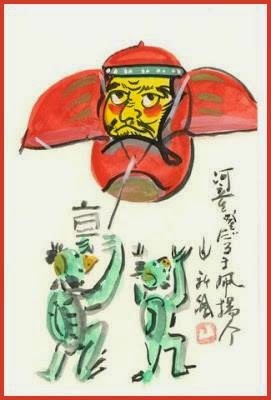 There is a saying "Kappa no kawa nagare (a drowning kappa)" which means, even an expert can make mistakes sometimes.
. Japanese Ghosts and Ghost Stories 怪談 kaidan . 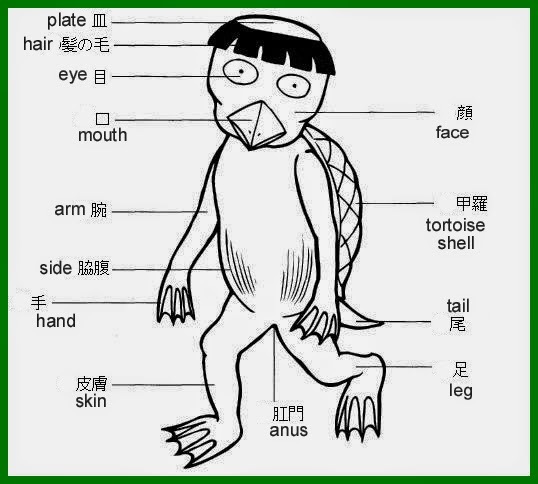 - Check this index for the main features a Kappa can take!
. Kappapedia - ABC index .
. - Reference, Books and Links - .
. - yookai, yōkai 妖怪 all kinds of Yokai monsters - .